Even at a time when the value and quality of legal education is being heavily criticized, a new book showcases what some of the best and brightest law teachers are doing and what is actually working in legal education. 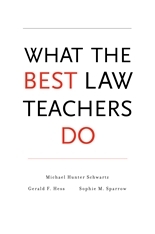 What the Best Law Teachers Do by Michael Hunter Schwartz, Gerald Hess, and Sophie Sparrow, renowned legal scholars on teaching and learning, is based on a national study of 26 law professors nominated as “the best” by other professors and students. We are not good at judging the effectiveness of our own learning. When information seems easy to recall, we develop “illusions of competence” or “illusions of learning” which hamper our true ability to learn. Over-confidence in our learning leads to early termination of studying, resulting in poor academic performance. 3. Mix it up - in the real world, we aren’t tested in convenient chunks. Everything comes at you at once. Interleave (mix up your studying) to replicate realistic conditions, to look for patterns, and to better identify information correctly. 4. Gain expertise - beginners are at a disadvantage as knowledge grows more quickly when linked or connected to prior knowledge. Beginners have to learn AND construct prior knowledge at the same time. Beginners also don’t have the expertise to know what they don’t know. 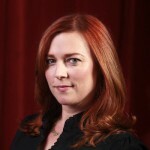 What if you can’t gain expertise or do so in a reasonable time frame? Find a mentor.